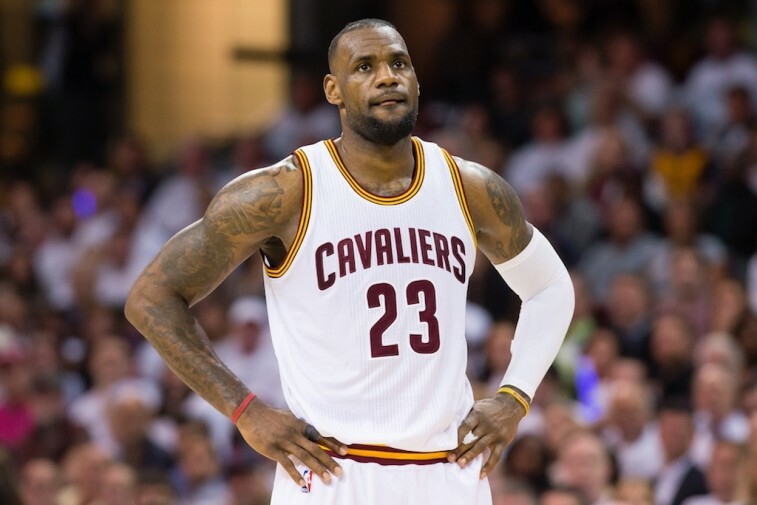 2015 NBA Playoffs: Can LeBron James Continue to Carry the Cavs? In the early going of Game 3 of the Eastern Conference finals on Sunday, LeBron James was ice cold. The best basketball player on the planet was 0 for 9 from the field after the opening quarter. He missed his first 10 shots on the night. He had never gotten off to such a poor start in the postseason. 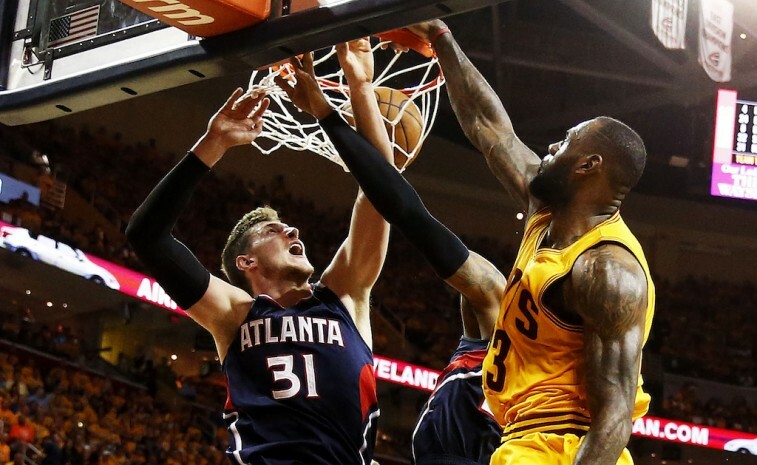 With James struggling, there was every reason to believe the Atlanta Hawks might claw their way back into the series. Of course, no one told that to the King. When the final buzzer sounded, and the Cavaliers had won the game in overtime by a score of 114-111, James had somehow turned his terrible start into a historic stat line. Despite making only 14 of 37 shots, ‘Bron finished the contest with 37 points, 18 rebounds, and 13 assists. He hit Cleveland’s final two shots in the extra frame, and seemingly willed his team to victory. Now, Cleveland is one win away from the NBA Finals. This Cavs team may be young and inexperienced but, fortunately for them, their leader isn’t. Given his affinity for outstanding postseason performances, we shouldn’t be surprised when James somehow manages to overcome personal adversity. However, the whole point of returning to Cleveland was so he wouldn’t have to shoulder so much of the team’s burden. This is something he’s had to do a lot lately. We just wonder how much longer his body will be able to sustain this sort of workload. James wasn’t the only Cavalier in double figures on Sunday. Scrappy guard Matthew Dellavedova and sharp shooter J.R. Smith each had 17 points, Iman Shumpert dropped 15, and Tristan Thompson added 10 of his own. ‘Bron is getting the necessary help from his supporting cast. The only problem is, these players are exactly that: Supporting. No one can forget how difficult it’s been for the Cavaliers since losing Kevin Love in the Boston series. But this team still had another star in Kyrie Irving. Of course, ‘had’ appears to be the operative world. For the second game in a row, Irving was unable to play on account of tendinitis in his left knee. It was one thing when these two All-Stars were pacing the Cavaliers together. There was a sense of balance in the Cleveland offense. Now even when Irving has been on the floor, it’s clear that he is limited; no longer the same explosive player who can weave through even the smallest hole on the defense. On top of that, James isn’t completely healthy either. Spoken like a passionate, focused, and dedicated leader. ‘Bron knows that he can’t relax for one minute. Despite the cramping, the previously rolled ankle, and the exhaustion, James still fought for almost 47 minutes in Game 3. That’s what Cleveland needed from its top player. That’s why the King never stopped pushing. 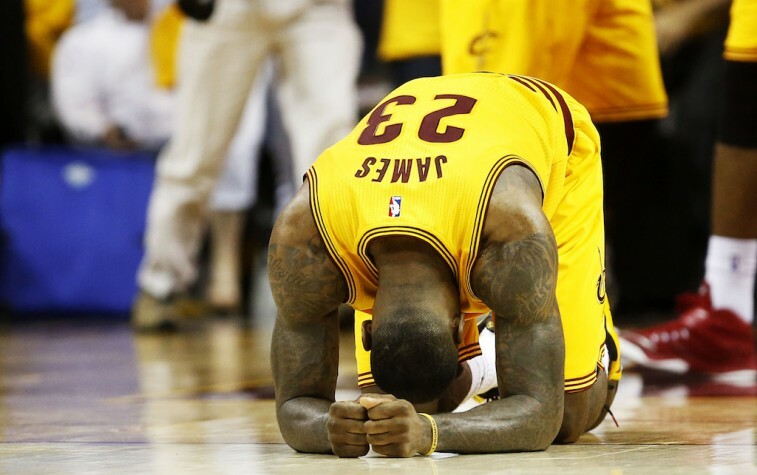 But when the game was over, James fell to his knees – physically worn out from his latest masterpiece. Finally, everything he’s done this postseason had caught up to him. We were actually surprised it hadn’t happened sooner. If the Cavs are smart, they’ll find a way to make sure it doesn’t happen again. James may be the best in the game, but even he can only take so much.